XOGO Mini allows you to turn any existing TV or projector into a digital sign. And at just $85, it fits any budget. But if your organization hasn't purchased its TV hardware yet, there's another exciting option to consider. 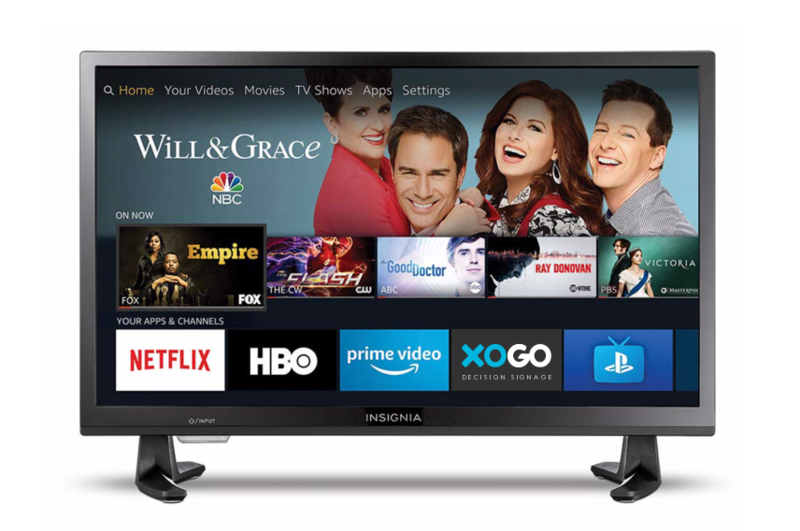 In the past two years, manufacturers around the world have begun building Internet-connected smart TVs that run on the Android operating system and even more recently, Amazon has partnered with Toshiba, Insignia and Best Buy in order to offer Fire TV-powered televisions, which are essentially a Fire Stick with a screen. These devices make it easy to watch your favorite movies and shows, check social media feeds and play video games. But they also make incredible digital signs! Our XOGO Player app is available for a number of different platforms including Android and Fire TV, so you can install it right from the app store on your smart TV. When you first launch the app you'll see our familiar interface with the XOGO logo and a QR code / PIN code specific to your device. Just open XOGO Manager on your Windows or Android device, click +NEW under players, and enter the PIN code to set up your new player. Assign it a playlist and within seconds your content is playing on your smart TV. No wires to connect, no need to buy another device, and your first sign is completely free of charge*. XOGO is changing the digital signage industry with our intuitive apps for computers, mobile devices, and now smart TVs. Give us a try today and see how easy it is to set up digital signs for your business. *See our pricing page for details and limitations.